The Ion Age Blog: Callsign Taranis now on general release! Callsign Taranis now on general release! Welcome to our last news and release of the month! The brand new expansion book for Patrol Angis our 15mm wargame system is now on general release at The Ion Age. 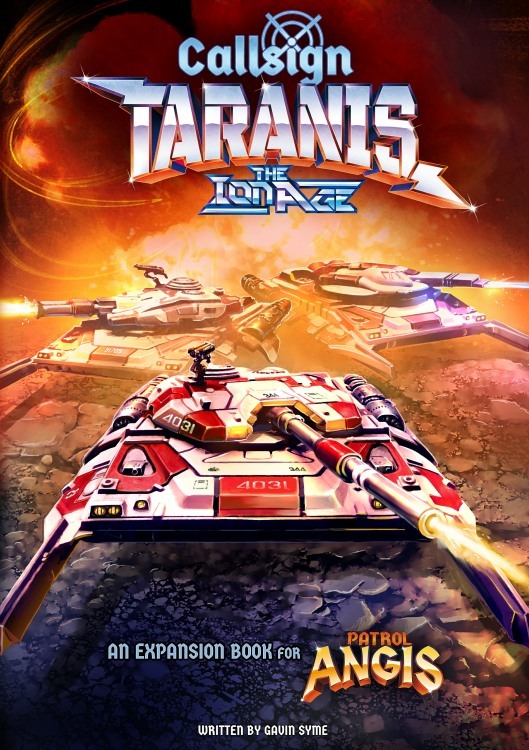 Callsign Taranis which introduces all types of vehicles along with larger scope games and much more is now on our website. Our thanks to all those who took up the pre-order offers on the book and every one of those orders is now well on its way to you across the whole world. If you want to see the new book along with the core book and the game set plus the two book bundle with a saving go HERE or read on for more. Callsign Taranis (A4 Book) 12.00GBP. Go HERE. 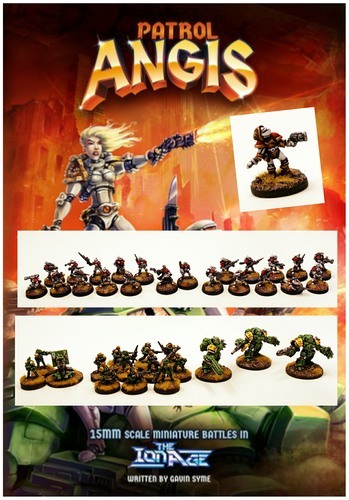 15mm Expansion Rules set in The Ion Age. Welcome to the Expansion of the One Hour Tabletop Wargame Patrol Angis. Wargame expansion rules for use with 15mm miniatures and models from theionage.com. An enjoyable playing experience set in a space opera setting unlike any other. 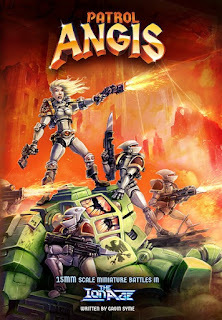 Patrol Angis is a skirmish level wargame and with Callsign Taranis you can move from the low intensity infantry focused warfare of the core game which was your starting point in this universe to something a bit larger and multi faceted too. Make use of vehicles from the humble Adder to the supporting Mullo and of course the mighty Taranis super heavy main battle tank. Introduce flying vehicles, hurwent energy shields, buildings, drones and mecha too. Play solo or with two or more players with games featuring one Platoon (22 Miniatures or several vehicles) a side up to four or even six Platoons a side (100 or more miniatures or a dozen vehicles) with smaller games taking less than an hour to play out. In Callsign Taranis you still choose to play as either the Prydian Army or in the employ of Canlaster or Yordan or any number of lesser rebel Marcher Barons all vying for the throne. This includes playing as a “Conda” or professional mercenary too for any side. 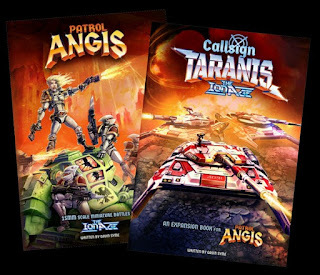 Callsign Taranis contains all the rules you need to make use of vehicles and structures in other titles in the series. In this book you will find the expansion rules covering the use of Vehicles in play as well as Structures and other bolt on mechanics. There are also game statistics for the vehicles of the Prydian Civil War and additional skills, equipment and items for your troops. Following on from Patrol Angis is part two of the Prydian Civil War background. Also in this book is the Support Phase and the Between Games development of your forces. Rules for how to play larger games of Patrol Angis and how to generate random terrain. A bolt on section for Building your Forces with Vehicle and Mixed platoons. This and more all in a packed sixty four pages! There are a good number of free files which you can download from our 15mm Publications page on the website for the game. Go HERE. On more Worlds than the Arks ever saw! Its so good you will wear out your jaw! Its the taste that gives you the finest feeling! Stop on by for a Smile and some good taste meal eating! We love to fill you up so...look no further than Happy Burger! We give a free miniature in every order placed and this miniature changes each month. Currently it is IMP34 Happyburger Clownbot and you have until the last day of June to get it free in your order before it is replaced with the next miniature in July. Go HERE or get full details about this fantastic and creepy robot HERE on our blog. This is the last release for The Ion Age for the month.